Hello everyone! Today I wanted to share a website that was recently brought to my attention. It is a website where people can share their FOTD’s and write/read product reviews, etc. I signed up immediately. I have to say that the ladies that are already posting on the site are so talented and so inspiring! 1. 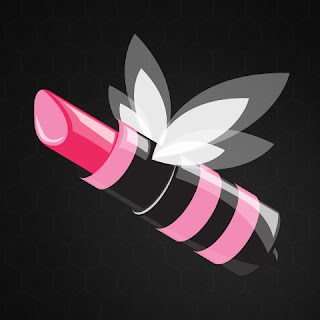 What is The MakeupBee? The MakeupBee is an online community that makes it easy to discover new looks and makeup products. It is a fun way for anyone with an interest in makeup to share, inspire, learn and discover anything related to makeup and beauty. Our site is centered around “Makeup Looks”, which are user submitted photos along with information about the look and on how to get the look. A look includes things like the products used, a description, a link to a blog to find out more information and a YouTube video that you can watch on our site if a user has provided one. For content contributors such as bloggers and YouTubers the looks feature is a quick and easy way for them to showcase their work to a community of makeup lovers. For casual users who do not want to contribute content the site makes it easy to browse around to learn about makeup and discover new products without posting any looks. 2. What do you hope to achieve with The MakeupBee? Create a platform for makeup lovers around the world to share, communicate and inspire each other that is fun and easy to use. Become a place where you can obtain trusted reviews and advice about beauty products from fellow makeup lovers based on personal experiences. Create a community where you can learn about makeup techniques, beauty products and novel ways other fellow makeup lovers are using makeup products. 3. How can people get started with The MakeupBee?